The Yellow PU Blade Handle Squeegee is a necessary tint tool for bubbles and water removals while applying car window film. 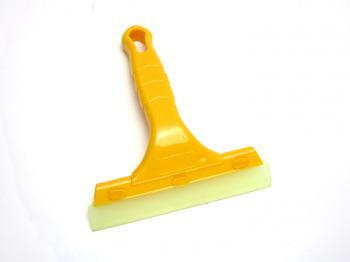 Making with plastic handle, the Squeegee is easy to grip and control. the edge of the blade is harder than Green Silicone Blade Handle Squeegee, making it a better tinting squeegee.